May is just about upon us and with Spring in full swing here in Southern California that means lots of get togethers! 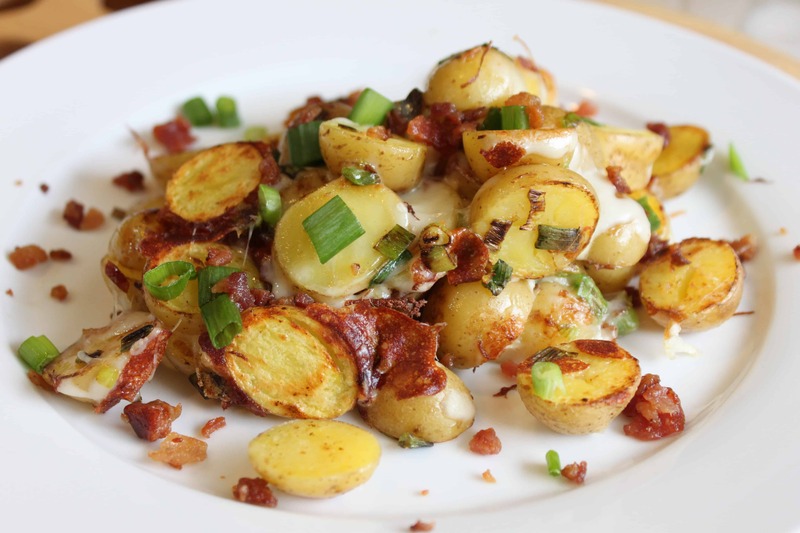 Cinco de Mayo is at the top of my list for a really fun day to enjoy some delicious food and drinks and enjoy all spring has to offer, like beautiful flowers and the seasons fruits and vegetables. We are entering the California Avocados season and they are ripe and delicious. I just love the creaminess of California avocados and the slightly nutty taste. 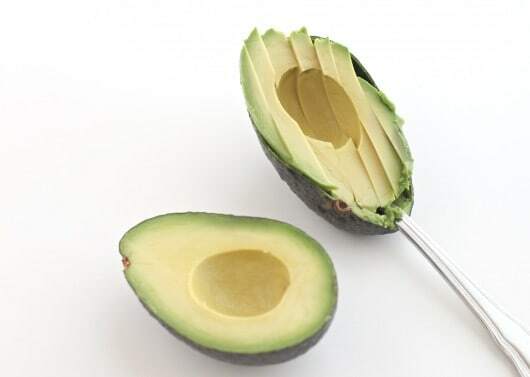 One of my favorite ways to eat avocados is right off the spoon, avocados are not only nutritious and delicious they are my favorite color…did you know my favorite color is green? Just thought I’d share that with you! This fun and creamy margarita will sure get your celebrating started right, even if you make them for lunch and enjoy the beauty of the day all to yourself. 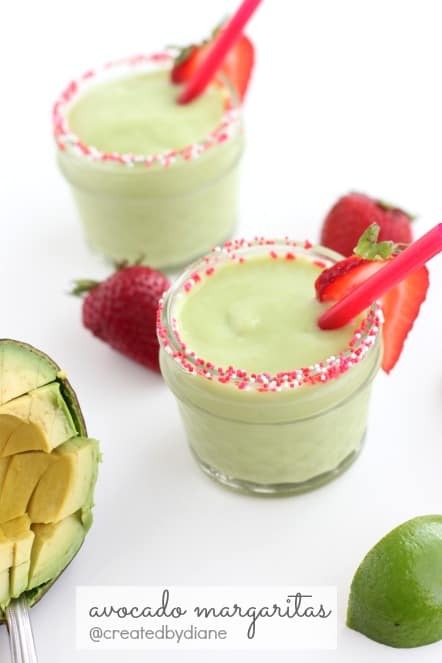 but adding the strawberry on top not only made this super fun and colorful the flavors of strawberry and avocado together are delicious. 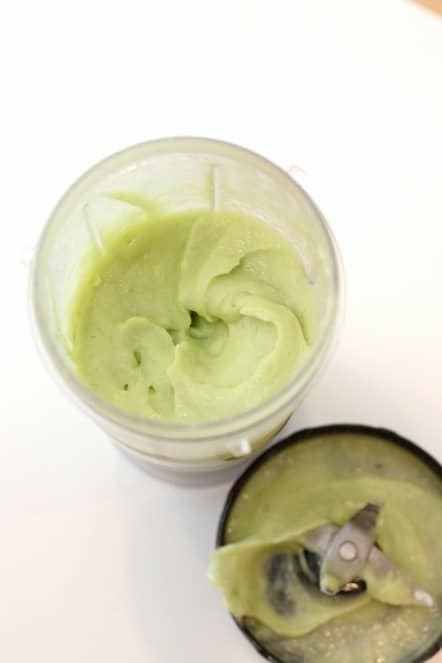 In drink blender add tequila, lime juice, cointreu, avocado along with simple syrup and ice. Dip rim of glass into shallow plate of sprinkles. 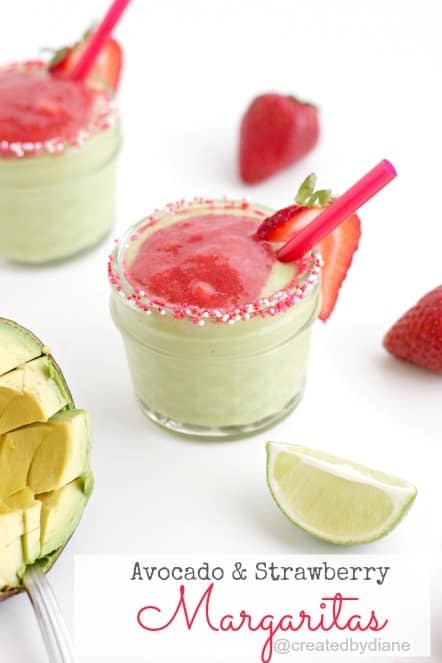 Pour strawberry puree on top of avocado margarita and enjoy! place one cup water in saucepan with one cup sugar and heat until sugar is completely dissolved over medium heat while stirring occasionally. 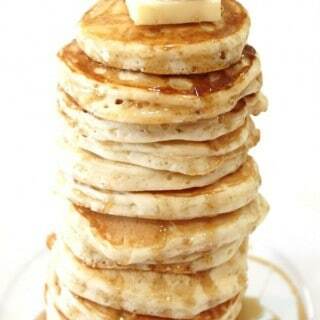 Allow syrup to cool. Simple syrup is an easy way to sweeten iced tea, lemonade or any drink. Store at room temperature for one week or in fridge for up to three weeks. I place the simple syrup in a squeeze bottle which makes it easy to use a small amount at a time to adjust your sweetness in drinks easily. Now on to making some Chicken Enchiladas in Green Sauce! What an interesting flavor combo! And as a margarita. I’ve never seen anything like this. I will definitely be trying this. That’s for sure. Oh my! 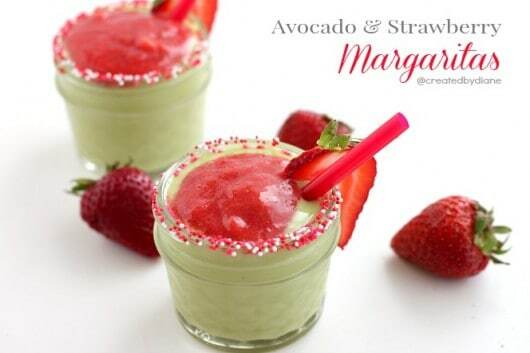 These margaritas look amazing! Such a great idea, I’m totally intrigued! 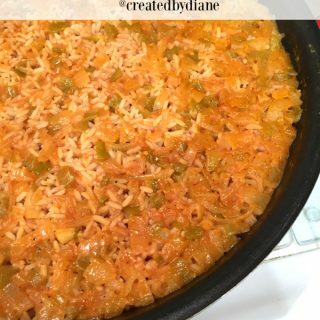 How fun Diane – love the avocado!